The grill is located at the intersection of Second Street and Grandstand Avenue. Published Aug. 8, 2018 at 6:01 p.m. In need of a place to sit down? Want a break from all the fun to eat or drink? 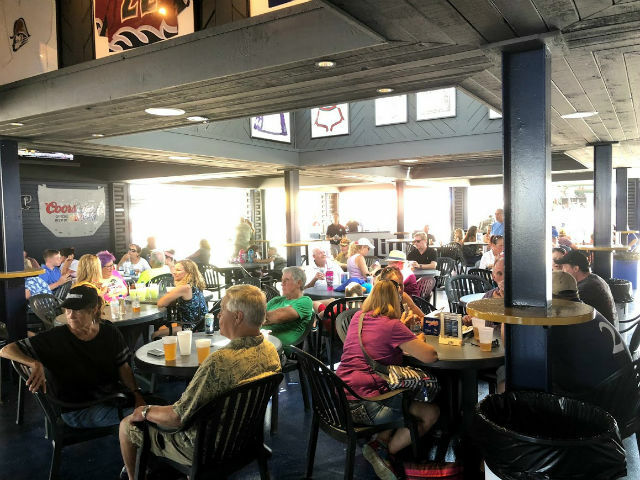 The Miller Lite Sports Bar & Grill, located right by the giant slide at the intersection of Second Street and Grandstand Avenue, can provide you with solutions to both of those problems, and lots more. 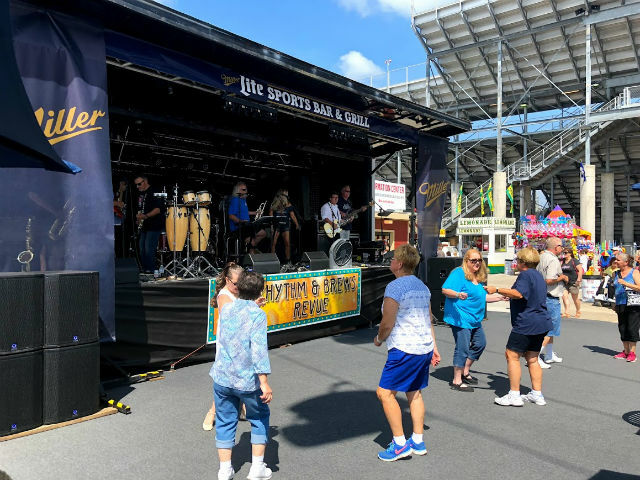 Here are five reasons why Miller Lite Sports Bar & Grill is the place to go at the State Fair. 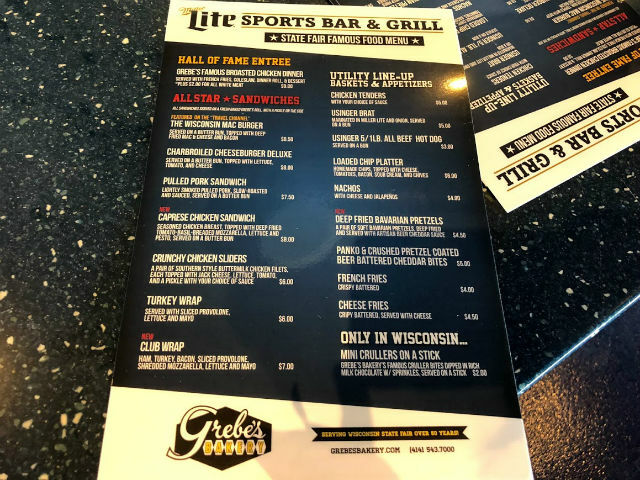 Miller Lite Sports Bar & Grill has you covered, literally, when you need to get out of the sun or rain. The seating area outside even has carpet, so it's a nice cushioned spot to sit with the provided plastic chairs, or to have the kids roam around. Miller Lite Sports Bar & Grill has a full line-up of music daily, be sure to check the schedule in your daily guide. And don't forget to get up and dance like no one's watching. From crunchy chicken sliders to deep-friend Bavarian pretzels, Miller Lite Sports Bar & Grill has a decently-sized menu to eat your way through. Sample the Wisconsin mac burger or mini crullers on a stick. 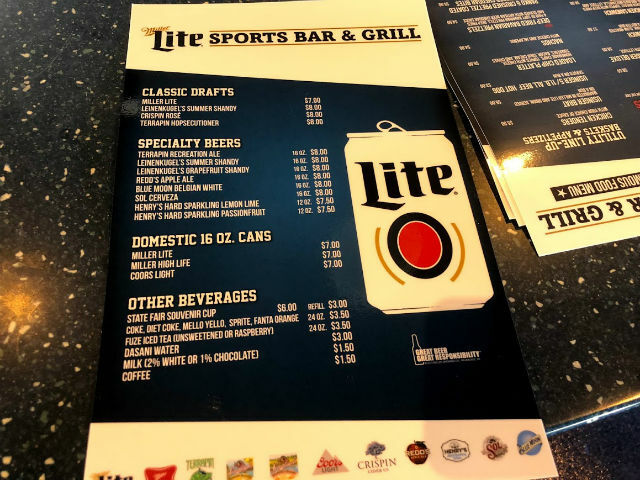 Along with the food, there is a wide menu for beer and other beverages at Miller Lite Sports Bar & Grill. Order right from the bar, or take a seat and get it served to your table. 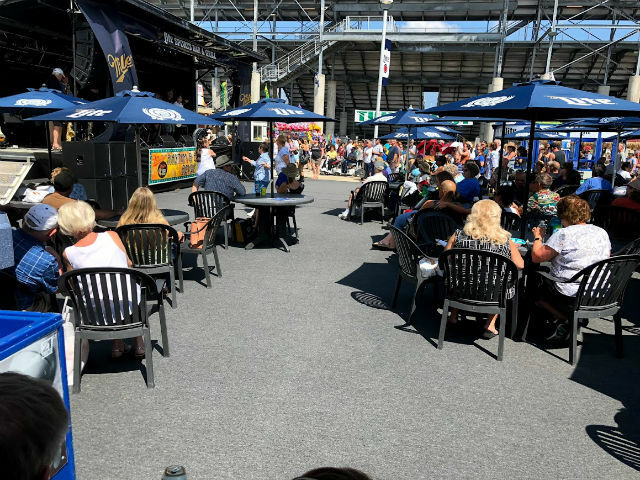 Some drinks offered include Miller products, Terrapin Recreation Ale, Leinenkugel's, Redd's, Sol Cerveza, water, milk, coffee and more. This is an added bonus for amateur sports historians or simply fans of the Milwaukee teams. 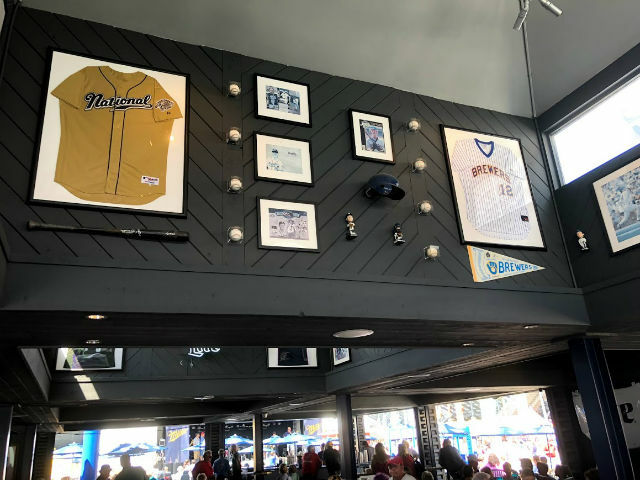 See some old Brewers bobble heads and jerseys and admire the old Bucks attire on display near the ceiling.